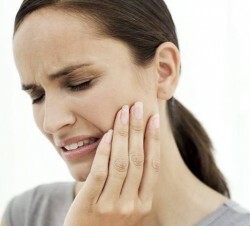 Sometimes people go to the dentist ordistrict physician with complaints of inflammation of the gums in the mouth, they are redness, swelling, bleeding, and pain. Then every meal becomes a joy. To improve the condition of the oral cavity can be a variety of means. 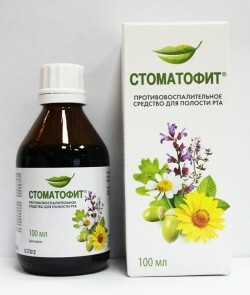 Our site will tell today about the herbal preparation called "Stomatofit". 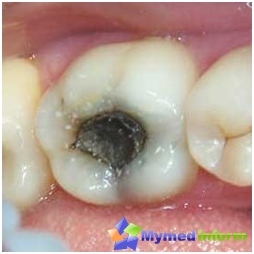 Diseases of the mouth at the momentoccupy a leading position in the niche of dental problems. The oral dentist can simultaneously detect signs of bacterial, fungal and viral diseases. Generally, in the oral cavity, "live" hundreds of different microorganisms. Fortunately, most of them recognized as opportunistic. A number of oral diseases occur in violation of the integrity of the epithelial cells. And then inevitably infected wounds appeared. It is fraught with inflammation, the appearance of pain. Studies have shown that complex drug Stomatofit - a promising tool that allows you to work directly on the symptoms of disease and pathogenesis. 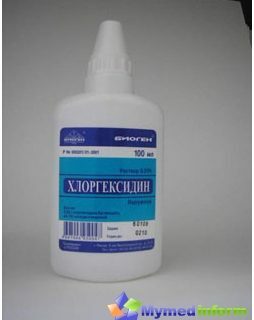 This dosage form - liquid extract toTopical obtainable by extraction of vegetable raw materials with 70% ethanol. The result is a brown liquid having a characteristic smell. During storage at the bottom of the vial, you may receive a small pellet, or visibly blurred - all this is quite acceptable for such formulations. Packaging is carried out in orange glass bottles of 120 ml or 45. Produced in Poland by Stomatofit "Phytopharm Klenk." This comprehensive drug was developedespecially for the treatment and prevention of inflammatory diseases of the oral cavity. The composition is formed in such a way that the impact occurred on various kinds of microorganisms reproduce rapidly in the oral cavity and cause inflammation. drug helps a long time to maintain oral comfort. What is the therapeutic effect has Stomatofit? Before you prepare the rinse, shakea bottle of extract. Then remove from the package measuring cup. 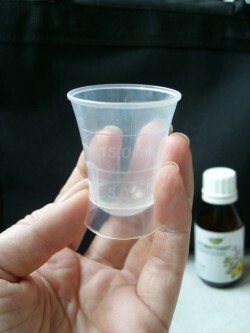 Measure 7.5 ml of the drug to them and pour this amount in 50 ml of warm water. Stir this solution to rinse the spoon. Collect a sip in the mouth rinse and implement a few seconds, trying to pass the solution through the space between the teeth, washing their gums. Then the portion of spit, a new type, and so on, until the solution is complete. On the day of such procedures do 3-4. The average treatment rate is from 10 to 15 days. Sometimes the doctor may later appoint a second course. Shortly before rinsing can disinfect the mucosa in the mouth, it irrigating the preservatives, for example, or miramistinom chlorhexidine. There are patients suffering from stomatitis, whichI think like this: "I will make the solution ponasyschennee, add to it any more remedy, then rinsing will help faster." In fact, it is a rash decision. our website warns that in such a case, you will feel a strong tingling and discomfort. Therefore, to achieve a positive effect on the application Stomatofita, follow the instructions. In advanced forms of periodontitis stomatitis or get ready for the fact that the treatment will be lengthy. Usually the doctor completes the rinsing Stomatofitom more sprays or lozenges in the oral cavity. Sometimes, instead of rinsing Stomatofitomappropriate to apply locally on the affected areas of the mucous membrane of a viscous solution "Stomatofit A" with a cotton swab. This is done three times a day. After topical application or rinsing solution should refrain Stomatofita within 30 minutes of oral fluids or food. Use rinse "Stomatofit Fresh"very simple. Morning and evening, after you brush your teeth, measure measured glass 10 ml of this solution. Rinse your mouth with a measured amount of the solution for 30 seconds. Swallow this tool is not necessary. Water to rinse the mouth after this procedure is not required. In most cases, only brings Stomatofitfavor. But there are people who, after rinsing with this extract, there are signs of an allergic reaction. Therefore, before you start treatment, be sure to check, did not include whether a part of the components and plants, which have already once been allergy. this drug should not be used in case of hypersensitivity to the components of the composition. Patients who used Stomatofit,They say that their condition improved after oral rinses course. Some people feel an improvement on the third day of the application, the other - on the fifth. Disappears bleeding, gums become normal appearance and closely adjacent to the dental necks after subside signs of inflammation of the wounds does not remain a trace. Stomatofit can be used with the 12-year-olds, but "Stomatofit A" (which has anestezin) - 18 years old. 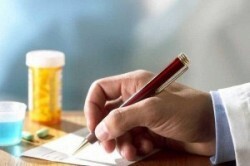 Choosing the right medication and get rid of dental problems you will help the dentist.